New Delhi [India], Nov 9 : India's largest online to offline (O2O) real estate transaction player Square Yards has raised USD 12 million investment from the Private Equity arm of Anil Ambani led Reliance Group. This is Square Yards' first institutional investment after it had raised USD 11 million from a clutch of HNW investors last year. Founded in 2013, Square Yards is the largest distributor for primary residential real estate in India, and it enjoys a leadership position in the Non Resident Indian (NRI) markets. New Delhi - Anil Ambani led Reliance Group has sold its multiplex business to South-India based Carnival Group in the largest ever deal in this space. The transaction will reduce Reliance Capital's overall debt by Rs 700 crore and is part of Reliance Capital's strategy to exit minority investments. The deal will make Carnival the third largest multiplex operator with nationwide presence and over 300 screens, a statement said Monday. The firms did not disclose the exact value of the deal. The deal struck between Carnival Cinemas and Reliance MediaWorks, will exclude IMAX Wadala (Mumbai) and some other properties worth Rs 200 crore, the statement added. New Delhi: Reliance Communications, India's fourth-largest telecom operator, Wednesday raised Rs 4,800 crore from a share sale to institutional investors, the biggest QIP fund-raising by a private firm. RCom, headed by billionaire Anil Ambani, will also raise Rs 1,300 crore by issuing warrants to its promoters, which along with the QIP proceeds would go to trimming the firm's huge debt. The company, which opened the qualified institutional placement (QIP) at a price of Rs 142.13 a share, got total bids of more than Rs 12,000 crore, of which it retained Rs 4,800 crore, sources said. Mumbai, Nov 12 : Financial services firm Reliance Capital Tuesday said it has posted a net profit of Rs. 181 crore ($29 million) for the July-September quarter, led by good growth in earnings from insurance, mutual fund and commercial finance businesses. The company's total income increased by 20 percent to Rs. 1,869 crore ($299 million), Reliance Capital, a part of Anil Ambani-led Reliance Group, said in a statement. The All India Gems & Jewellery Trade Federation (AIGJTF) has condemned the reopening of Reliance Gold Savings Fund for fresh investments. Led by billionaire Anil Ambani, Reliance Gold Savings Fund on Wednesday announced that it had restarted accepting subscriptions. The private-sector Fund, which manages nearly $300 million, had shut off new buy-ins nearly three months back to support the government's efforts to curb soaring demand for gold. Mumbai, Sep 2 : Reliance Infrastructure, part of the Reliance Group headed by Anil Ambani, Monday announced the completion of 136 km road connecting Salem and Ulundurpet in Tamil Nadu at an outlay of Rs. 1,061 crore. The company in a statement issued here said the road project on build-operate-tranfer (BOT) basis was completed by its special purpose vehicle, SU Toll Road Pvt. Ltd., and collection of toll in three plazas has begun. The company has been awarded the contract to operate and maintain the road for a concession period of 25 years. Mumbai, Aug 27 : The debt of Reliance Capital Ltd would drastically go down to Rs. 5,000 crore from the current around Rs. 20,000 crore when it gets a banking licence and the company's fund's position is healthy and has no plans to make a capital call on the shareholders, said a top company official. Reliance ADA Group Chairman Anil Ambani on Thursday appeared before a special court in New Delhi to dispose as prosecution witness in the 2G spectrum allocation case. When the prosecution asked Ambani if he knew a company named Swan telecom that had been awarded 2G spectrum and licence in the year 2008, he denied any knowledge about the company. In the special CBI court, presided over by Judge OP Saini, he claimed, "I'm not aware of any company called Swan Telecom." 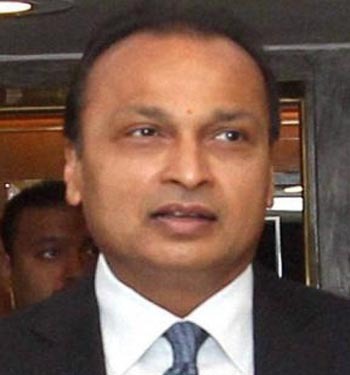 New Delhi, Aug 22 : Reliance Group chairman Anil Ambani Thursday deposed before a special court here as a prosecution witness in the 2G spectrum allocation case and said he was not aware of any company named Swan Telecom. The insurance arm of Anil Ambani-led Reliance Group has announced its entry into India's agriculture insurance business, saying it would offer farmers insurance cover for their crops against adverse weather conditions. Reliance General Insurance announced various insurance products, some of which weather-based insurance schemes while other are yield-based. Rakesh Jain, chief executive of Reliance General Insurance, also noted that it was the company's first step into the country's agriculture insurance sector. New Delhi, July 27 : Reliance Group chairman Anil Ambani and his wife Tina Ambani were Saturday issued fresh summons by a Delhi court to depose Aug 22 and 23 as prosecution witnesses in the 2G spectrum allocation case. Central Bureau of Investigation (CBI) Special Judge O. P. Saini issued fresh summons to the two after they were exempted from appearing in court Friday. The court allowed the plea of Anil Ambani, who was summoned Friday, seeking exemption from personal appearance on the ground that he had pre-scheduled business engagements. Reliance ADA Group Chairman Anil Ambani told the Central Bureau of Investigation (CBI) that he hadn't gained anything from the 2G saga; rather he had lost his prestige. Mr. Ambani and his wife Tina Ambani have been directed by a special court to testify as prosecution witnesses in the 2G telecom case, in which Reliance and many other telecommunications firms conspired with former Telecom Minister A Raja to get spectrum. New Delhi, July 23 : The Supreme Court Tuesday directed the listing of Reliance Telecommunications' plea challenging the 2G special trial court order summoning a number of people, including Reliance Group chairman Anil Ambani, as prosecution witnesses before the bench. As senior counsel Mukul Rohtagi got up to address the court on the plea, an apex court bench headed by Justice G. S. Singhvi said: "Go to the bench which is hearing the matter." Having said so, the court ordered: "Let the matter be listed before the bench seized of the 2G matter". Reliance ADAG chairman Anil Ambani and his wife Tina Ambani will have to testify as prosecution witnesses in the 2G telecom case, according to a directive issued by a Delhi court on Friday. The Central Bureau of Investigation (CBI) is probing the 2G spectrum allocation scam, in which erstwhile telecom minister A Raja allegedly allocated telecom network licenses and 2G spectrum at sweetheart deals to ineligible firms in 2008. The Central Bureau of Investigation (CBI) wants to make Reliance Group Chairman Anil Ambani as well as his wife Tina Ambani witnesses in the 2G spectrum allocation scam case. On Tuesday, the CBI told a trial court that Anil and Tina's deposition was required because the company's executives had not given clear-cut answers as to at whose instance they created a shell company to win 2G spectrum. Mumbai, June 26 : Anil Ambani-led Reliance Capital Wednesday said it will apply for a banking licence, in which two Japanese firms will be minority partners. Reliance Capital will be the promoter, while the Japanese financial giants Sumitomo Mitsui Trust Bank and Nippon Life Insurance will control between four to five percent stake each in the proposed new bank. Anil Ambani-led Reliance Group firm has signed partnership agreements with the two Japanese firms. Mumbai, May 16 : Reliance Capital Thursday said its net profit surged by 77 percent to Rs. 812 crore ($149 million) in the financial year ended March 31, 2013. The company, a part of Anil Ambani-led Reliance Group, said its consolidated total income jumped by 13 percent to Rs. 7,519 crore ($1.4 billion), largely due to a sharp increase in "topline of general insurance, commercial finance and asset management businesses, and sale of stake in Reliance Capital Asset Management." Reliance Capital's earning per share increased by 77 percent to Rs. 33.1. 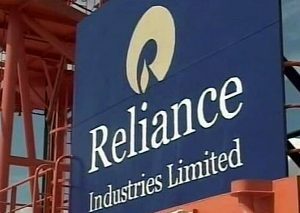 Reliance Industries Ltd (RIL) on Tuesday posted lower-than-expected top-line performance for the quarter ended March 31; but on the profitability front, the result was better-than-expected. The Group's net revenues slipped 1.2 per cent to Rs 84,198 crore in the three months ended March 31 year-on-year, considerably lower than analysts' average projection of Rs 93,058 crore. Quarter-on-quarter, turnover slipped by nearly 10 per cent. The decline was mainly because of lower oil & gas sales. The Jamnagar-based plant of the company remained closed for two weeks for maintenance. After hitting Rs 1,200-crore telecom deal with Anil Ambani's Reliance Communications, Mukesh Ambai-led Reliance Industries Ltd (RIL) has invested Rs 800 crore in Anil-led Reliance Mutual Fund's various mutual funds schemes. The investments by RIL have been made in Reliance Mutual Fund's Fixed Maturity Plans (FMPs) and some debt schemes. Mumbai, April 2 : Companies run by brothers Mukesh and Anil Ambani Tuesday announced a Rs. 1,200 crore deal for cooperation in telecom business. As per the deal, Mukesh Ambani-led Reliance Jio Infocomm will utilise Anil Ambani-led Reliance Communications' optical fibre network for fourth generation (4G) telecom services. Reliance Communications in turn will have reciprocal access to optic fibre infrastructure to be built by Reliance Jio in future. Reliance Jio is a subsidiary of Reliance Industries.